It must be every Muslim’s duty to justify every single thing from an Islamic point of view. It is only Islam which can provide 100% correct solution of any dispute and problem. Moreover in the last pilgrimage sermon Prophet Muhammad (peace be upon him) guaranteed that if someone firmly grab the track directed by the Noble Quran and Sahih Sunnah then he will never be misguided. Whether a person should bear the essence of selfishness in his character or not he can make a judgment of it from an Islamic angle. After making an appropriate research on Islam he will be able to get the just solution beyond any doubt. It is absolute that after making proper use of conscience and being enlightened after creating a strong relation with Quran and Sunnah he will be able to assure himself that Islam is always strict against any kind of attitude which contains the essence of selfishness. Islam is always in favor of altruism and it is one of the fundamental principles of Islam. Striving for protecting the rights of the day laborers, the women and the orphans, taking good care of parents, relatives and neighbors, lending the helping hands for the poor and needy etc are some activities directed by the Quran and Sunnah which make a clear cut reflection of altruism. But it is a matter of great regret that this noble virtue altruism is seriously missing among the new generation. Ensuring firstly the fulfillment of own selfish desire has become a common habit of most of the young people. Lack of helpfulness, capability to realize properly the inconveniences of others is definitely a bad sign inherent among young people which is also a great hindrance on the way to prosperity for which the nation will seriously lag behind. Islam itself is strictly against any kind of selfishness and it advises for building up a habit of lending helping hands always toward others irrespective of religion, class and race when they are in need of guidance. Moreover, in the Glorious Quran it has been suggested several times by Allah to stand beside others during the moment of their miseries through charity (Sura Al-Baqarah: 110, 177). It is true to say that the concept of universal brotherhood in Islam is a divine blessing from Allah which ultimately leads to a spiritual unity. The prerequisites for upholding this universal brotherhood is to be aloof from selfishness, jealousy, undermining another brother, using abusive words, backbiting and all other evil deeds which are neither acceptable nor desirable(Khurram Murad, Mutual Relation among the activists of Islamic movement) . A Muslim is bound to follow the Commands of Allah described in the Divine Scriptures. 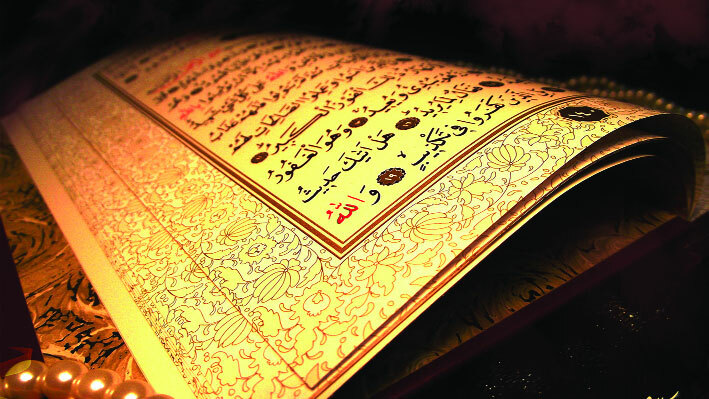 Therefore, if a Muslim setting up a neutral mentality reads with deep insight the message provided in Sura al-Asr then he will find out that it is suggesting for the purification of thyself first and then he should set it as a goal of his life to strive with a positive intention (niyat) in order to nurture another Muslim brother so that he can prepare himself as an obedient servant of Allah(Moulana Delawar Hossain Sayedee, Tafseer-e-Sayedee). Thus the key theme of Sura Al-Asr reflects the light of altruism which every Muslim should observe with their mind and heart. Maintaining social harmony is obvious for ensuring welfares in the community. It is an expectation of every human being that he will live in such a society where peace and harmony will prevail and at the time of his helplessness every member of the community will come forward to show their sympathy for him not artificially but in true sense. For the fulfillment of that dream brotherhood needs to be promoted which is also a spiritual call of Islam to the Muslim Ummah. Moreover, it is Islam which has provided an outstanding mechanism for the establishment of brotherhood throughout the entire world. When the human being willfully becomes the servant of the Nafs he learns to be selfish and keeps himself separate from others very technically in order to ensure the fulfillment of his own selfish desires. But Islam totally disregards this kind of attitude and admonishes to abide by the principles of altruism established under the purview of the Noble Quran and Sunnah. World famous Islamic scholar Tariq Ramadan once said, “Don’t disregard the people you see around you rather you should educated them more and more and inspire them to be involved in committing good deeds.” Truly Tariq Ramadan through his sermon has introduced a new dimension of doing Dawah keeping an altruistic view in the mind to promote the good and eradicate the evil. Moreover Sayyid Qutb, the martyred Islamic Scholar of Egypt mentioned in his revolutionary Tasfir book ‘In the Shade of the Quran’ (Fi Zilalil Quran) that Islam adopts a very gentle approach towards human nature, encouraging, prodding, pampering, cajoling, reprimanding and where necessary disciplining and restraining. It prefers the patient and caring attitude, confident of the eventual outcome. It is a continuous process of growth and development that can only better as time goes on. Mutual cooperation is a vital element for assuring prosperity in the society. As the proper formation of society is expected by all so selfishness in attitude must not be allowed and no room should be opened for selfishness. Islamic formula of building up a just society is the best one as it directly rejects selfishness, jealousy and hostility. Above all, every single person is well aware of the formula of ensuring a just society but the significant element which is missing is the practice. If consistency can be appropriately maintained between words and action then it will help to complete the mission of ensuring justice in the society in a proper manner. No person will be found who is not in favor of promoting brotherhood in the society except those who are unwise. Therefore, for the proper fulfillment of our cherished desire we should not ask anyone to give his seat to us rather we should make room for each other.